From one of the pioneers of modern worship comes this collection of anthems and hits, taken from his string of successful solo releases. The Worship Collection includes fifteen powerful tracks from the Light, Saturate, and Surrender albums. :From one of the pioneers of modern worship comes this collection of anthems and hits, taken from his string of successful solo releases. The Worship Collection includes fifteen powerful tracks from the Light, Saturate, and Surrender albums. 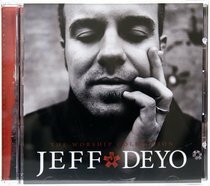 Jeff Deyo is an American Contemporary Christian music solo artist and worship leader. He was the lead singer of the band SONICFLOOd from its creation in 1999 through 2000. After leaving the group in 2000, he ventured out on his own, continuing the modern worship trend that started with SONICFLOOd. Jeff's solo debut album, Saturate, was released in 2002. His second album, Light, featured #1 radio single Bless The Lord, which featured vocals from Rita Springer. In 2005, Jeff released the live album, Surrender, which featured him leading worship at the 2005 Parachute Music Festival in New Zealand. His next studio album, Unveil, was released on May 22, 2007 and on June 19, 2007, The Worship Collection was released. Deyo starred in the 2008 Christian film The Imposter starring himself, Kevin Max, and Kerry Livgren from the super band Kansas. He played the band leader James. In January 2010, Jeff joined the music department of North Central University in Minneapolis, MN as a faculty member.